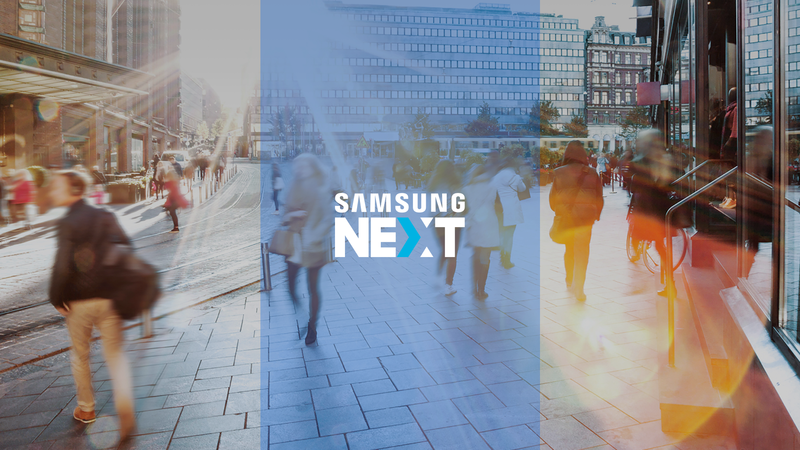 Samsung NEXT builds, grows, and scales great ideas, wherever organizations or entrepreneurs are in their life cycle. 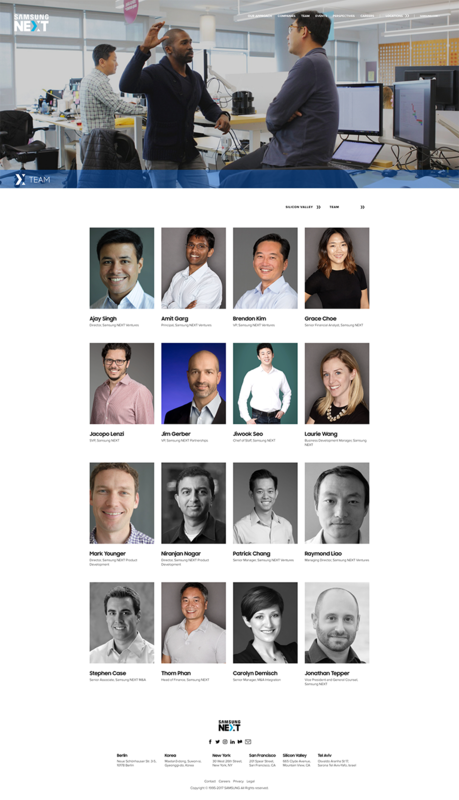 Samsung NEXT is one of three venture capital firms at Samsung, that specializes in startups, pre-seed, early-stage, and Series B investments. The firm typically invests in technology sector with a focus on mobile, consumer electronics, television displays, virtual reality/augmented reality, artificial intelligence, data, and Internet of Things. As Samsung NEXT was preparing to launch, the team was looking for a way to differentiate themselves within the crowded VC landscape and make a splash at the 2017 CES Convention in Las Vegas. 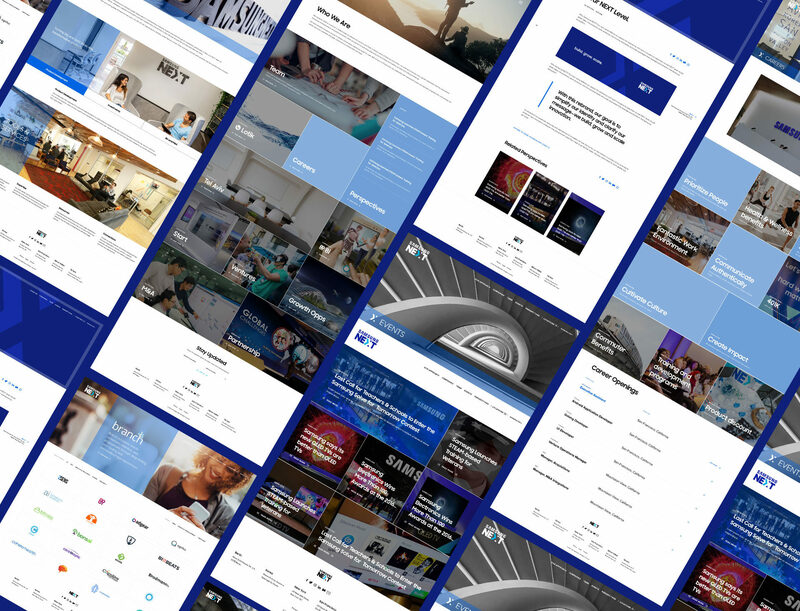 The team had a very tight timeframe in which to establish their new brand and announce the new fund while creating a dynamic new website that reflected it’s parent brand and created a bold new presence. 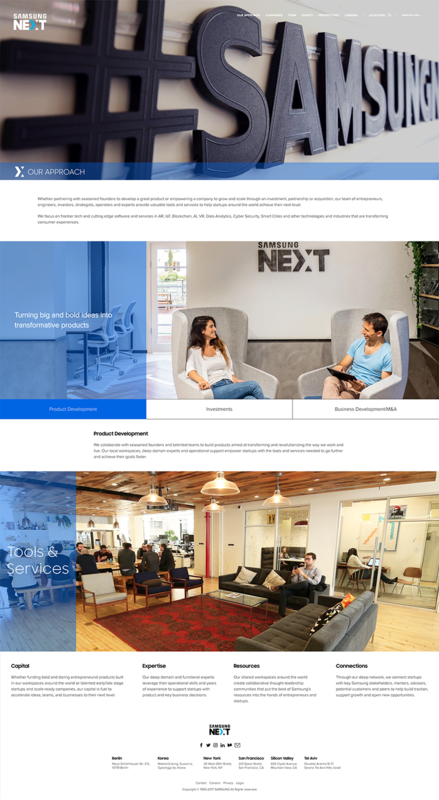 Create a cutting-edge, mobile friendly site that allows users to learn about the different types of investments SNEXT was looking to make with their new fund. ablish themselves as a trend setter within the industry. Showcase companies that SNEXT had previously invested in. Big Drop adopted an extremely agile approach the project. Touching base with the client every day and actively iterating the design to reflect the changing content, messaging, branding, and stakeholder demands that ultimately shaped the final product. Additionally, in order to meet the ever shrinking timeline, the Big Drop team relied heavily on the timely turn around of their dev team in order to ensure that the full site would be prepared and tested in time for the clients big announcement at CES. Big Drop was able to deliver the design in time for the CES presentation and the resulting coverage from the new fund announcement garnered the positive press push that the client was ultimately looking for. 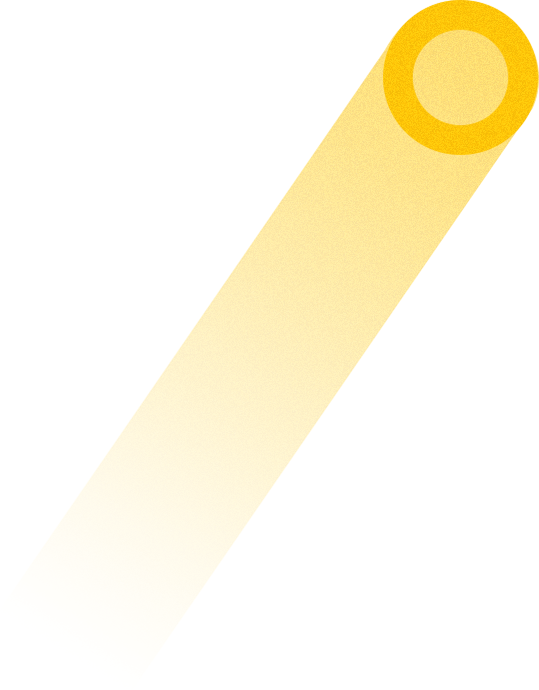 The relationship was so successful for SNEXT that they ended up returning to Big Drop to implement additional site enhancements several months after the initial launch.